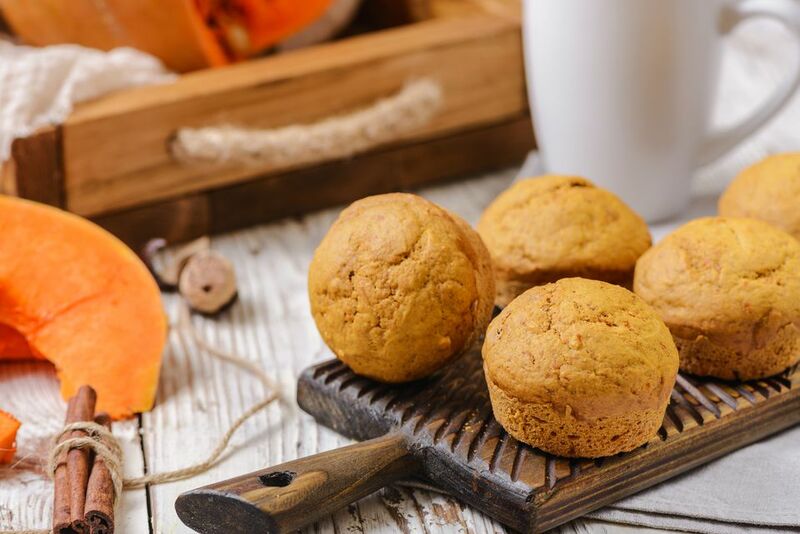 These egg-free pumpkin muffins would be the perfect breakfast or snack on Thanksgiving or any chilly fall morning. The recipe uses canned pumpkin and lots of flavorful spices, including ginger and nutmeg to give it loads of autumn flavor, but is completely egg-free and dairy-free, making it reduced fat and absolutely cholesterol-free. In a large bowl, mix together one cup of the flour with the brown sugar, baking powder, salt, baking soda, cinnamon, nutmeg, and ginger. Add the pumpkin puree, soy milk, egg replacer, and vegan margarine. Beat until well blended. Pour the batter into the muffin pan, filling the cups two-thirds full. Bake for one hour, or until an inserted toothpick or fork comes out clean.